Does cute fruit taste better? How about pretty veggies? Nope, according to San Francisco-based Imperfect Produce, a well-funded startup that is betting big on bringing so-called ugly fruit to shoppers across the country. Imperfect Produce’s direct-to-consumer delivery system, which launched recently in Sacramento, works like other produce subscription programs. Customers select the size box they want and customize it to their liking within a certain time frame. A hodgepodge of fruits and veggies is then delivered to the customer’s doorstep each week. But what differentiates Imperfect Produce and companies like it is that their inventory is composed largely of fruits and vegetables with cosmetic and other defects that most supermarkets would reject—and they sell it for roughly 30 percent less than grocery stores. “There is a cult of perfection where grocery stores are no longer rejecting produce based on only quality standards but also aesthetic standards,” according to Ben Simon, CEO of Imperfect Produce. The company’s position is that creating a market for this produce, which they source from farms and distributors, helps eliminate food waste. Selling less-than-perfect produce is nothing new, says Barbara Archer, spokesperson for Capay Organic and Farm Fresh To You, which offers its own subscription program. 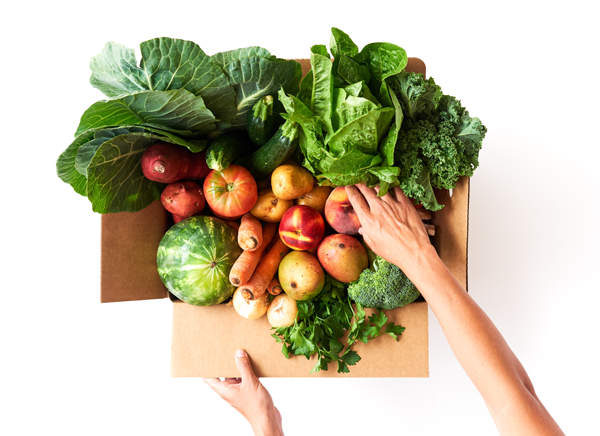 Farms have long sold subscription boxes containing produce that, judging by its looks, wouldn’t have made it onto the shelf of a typical supermarket. “We have been educating consumers about imperfect fruits and vegetables for years,” explains Archer. Imperfect Produce says they make every attempt not to sell produce destined for food banks, and that they’re getting fresh produce into the hands of customers who might otherwise not be able to afford it, including through their reduced-cost box program, which saves qualifying customers 33 percent off each box. Sacramento Magazine offers endless ideas for things to do in beautiful Sacramento. Whether you are looking for food and drink, arts and culture, events or tourist attractions, Sacramento Magazine is the perfect guide to all that is happening in the region.